Scare-addicts – this is the event of the year you’ve been waiting for. Gear up for one of the region’s most-anticipated Halloween event as Universal Studios Japan’s (USJ) unleashes its SCARIEST-EVER Halloween Horror Night! The park pulls out all the stops for this year’s Halloween Horror Night with crowd favourites and all-new bone chilling attractions bound to unnerve even the most stoic visitor. With the Halloween Horror Night Express Pass now available for sale, here’s what you need to know for an epic Halloween night out at USJ. Here’s where things might get complicated, so we’ve broken it down for you into these few need-to-knows. The Horror Night Express Pass is an add-on pass that gives you fast-track access to the special Halloween attractions at USJ. The USJ entry ticket is not included in the Halloween Express Pass and will have to be purchased separately. If you would like to enjoy the benefits of the Halloween Express Pass, you will need to have both a USJ entry ticket and Halloween Express Pass on the day of your visit. A regular USJ entry ticket will give you access to all of the Halloween attractions except Trauma 3: The Terrible Prison Lab. Trauma 3 is a ticketed attraction and requires a separate ticket for entry (see “Trauma 3: The Terrible Prison Lab Admission Ticket”). There are two ways to visit Trauma 3: you can either purchase a Trauma 3 admission ticket or a Horror Night Express Pass 5 – Trauma that gives you fast-track access to the attraction on top of other selected Horror Night attractions. Klook me to Trauma 3! If you’re planning to purchase a regular USJ Express Pass and Halloween Express Pass, do note timings may overlap and you will have to choose one attraction over the other. The Halloween Express Passes are only available from 8 September to 5 November 2017. Prices vary every day according to the park’s official terms and conditions, so be sure to select a specific date and package for accurate ticket prices. Unlike the open-dated USJ entry tickets available on Klook, Halloween Express Passes are fixed date entry only and cannot be changed. After purchasing your Halloween Express Pass on Klook, do be sure to print it out and bring it along with you. 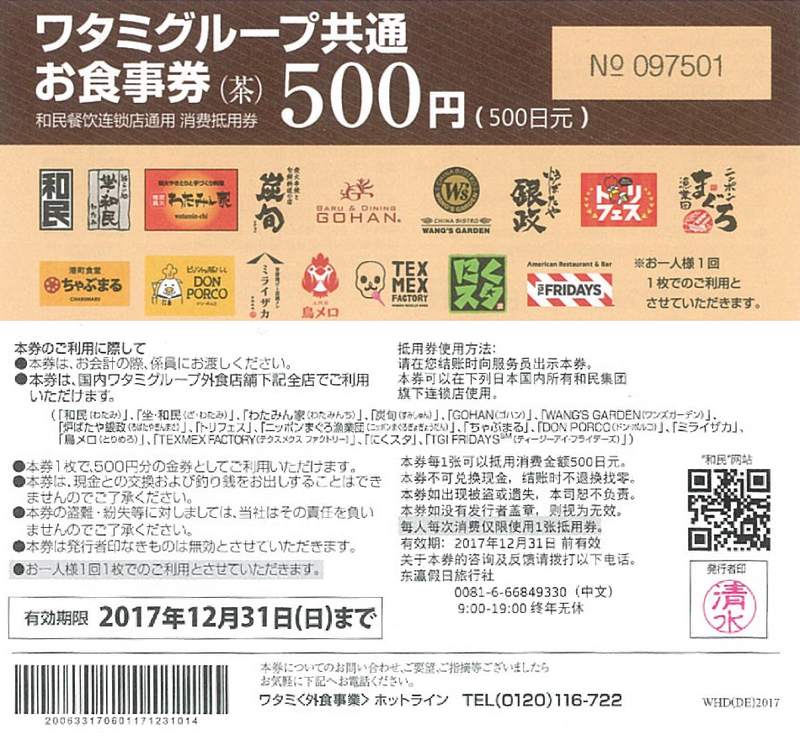 You can use the printed voucher directly at the relevant attractions. You do not need to print out your USJ entry ticket. Simply scan the QR code on your Klook mobile e-voucher at the park entry turnstiles for admission. Klook me a Halloween Express Pass! This year’s USJ Halloween Horror Night program line-up is unique in that some of the Haunted Houses start from as early as 12 noon. The program also promises to be so terrifying they’ve implemented age restrictions on some of the attractions, so do take note especially if you’re planning to visit with young children! USJ is going all out this year with their street zombies and the promise that you’ll be attacked by 20 different types of the living dead – the widest variety in park history! Look out for some zombie entertainment as well in the form of the Zombie Mob. Some new zombie varieties will only appear on rainy days, so there’s something to look forward to even if the weather seems a little threatening! In this attraction, guests will have to undertake life-or-death missions in a maze filled with zombies with the singular goal of stopping you from escaping. Take charge of your own destiny and complete the tasks in order to free yourself or join the undead in their forest hell – the choice is yours at Deadman’s Forest. The highlight of USJ Halloween Horror Night, this walk-through attraction spans a whopping 35-minutes and is the longest attraction in USJ history! Enter a word of mad scientists and horrific experiments playing on your deepest fears and worst nightmares come to life. Guests will have to wander through the attraction searching for an unseen exit whilst plagued with scenes of horror beyond your wildest imagination. This attraction is rated a full 10/10 on the horror scale and only children aged 15 years old and above are allowed to enter. Enter at your own risk! Chucky is back by popular demand and it’s scarier than ever! If you’ve watched Cult of Chucky, you’ll be familiar with the killer doll and his thirst for blood. We can’t promise you won’t have the urge to throw all your dolls away after this, but we promise this year’s Chucky attraction will surpass every other USJ Chucky event! Enter the freaky realm of A Nightmare on Elm Street and attempt to escape from the clutches of Freddy alive. Be prepared for unexpected surprises and try to anticipate Freddy’s next move as you wander through the maze. P.S. Remember to watch your back. Remember that famous head-turning, spider walking scene? Good news! All of that (and so much more) will be reproduced in its full glory at the Exorcist attraction this year! Only the strongest people can walk into an eerie mansion modelled after one of the scariest movies of all time. Grab your ghost-busting posse and conquer it together! Sadako needs no introduction! This year, she’s crawling out of the TV and into your life at Sadako: The Cursed Attraction – in 3D! Meet your favourite long-haired ghost at USJ – if you dare! Overnight school camps will take on a whole new meaning after you’ve gone through Gakkō no Kaidan! Modelled after the Japanese movie of the same name, this attraction will bring all your student nightmares to life. If the ghosts and ghouls aren’t your thing, you can still join in the fun with “Festa de Parade”! This costume parade takes place during regular park opening hours. Join the music and the celebrations as performers don a wide array of beautiful costumes. Don’t miss the massive Happy Trick or Treat candy display and mischievous Minions trick-or-treating at the Minion Park! Don’t forget to pick up some WiFi and other items you’ll need to survive a very spooky Halloween in Osaka!